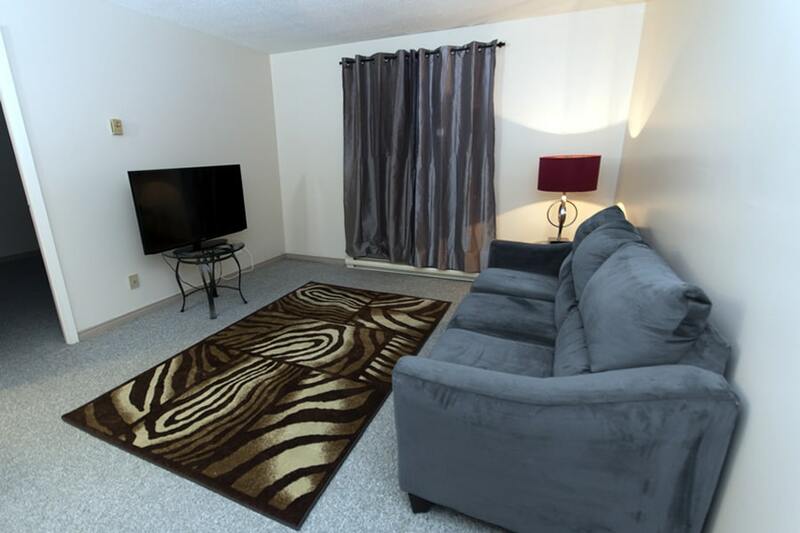 Our one bedroom apartments feature balconies and approximately 700 sq ft of bright, clean, airy space in which to accommodate a couple, or young professionals on the move. 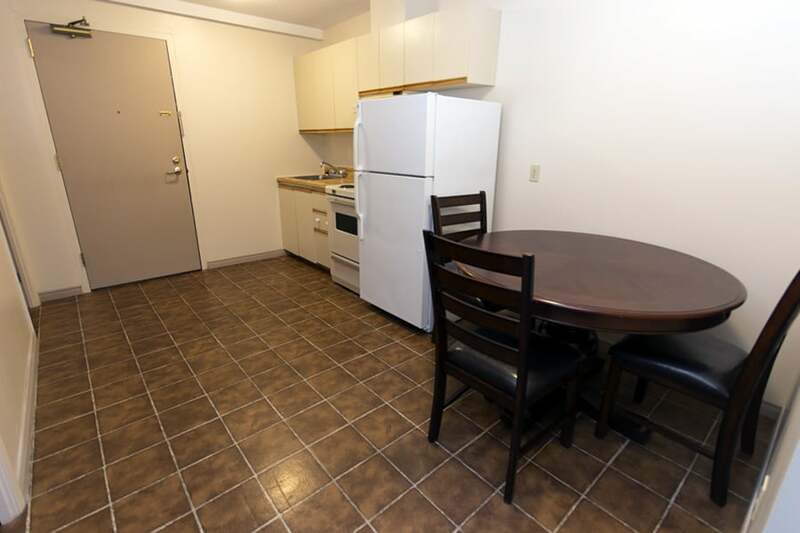 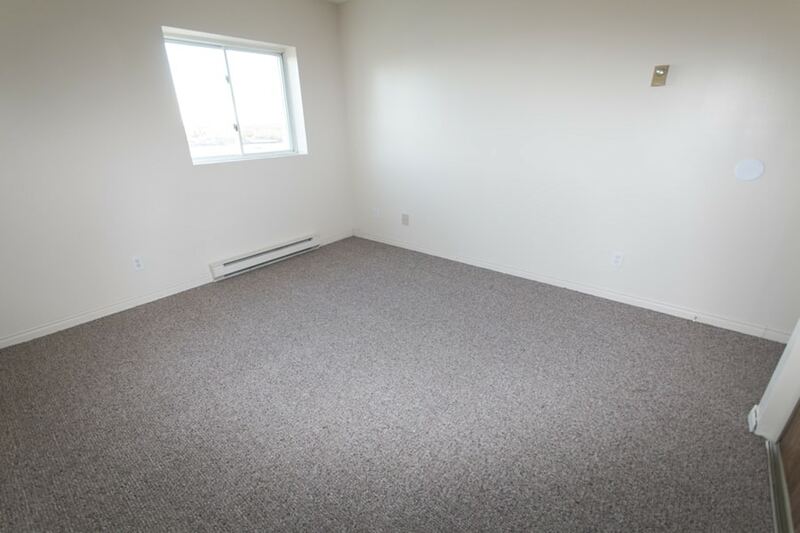 Large storage rooms and thermostats to control electric heat are located in each apartment. 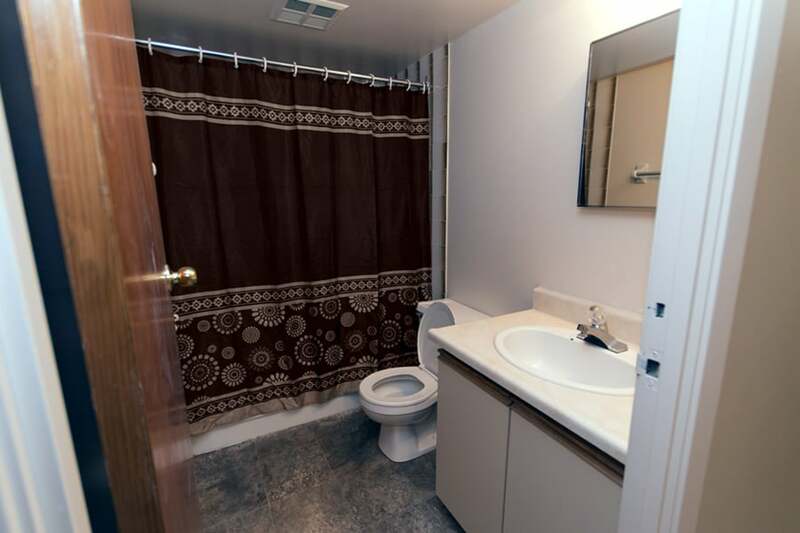 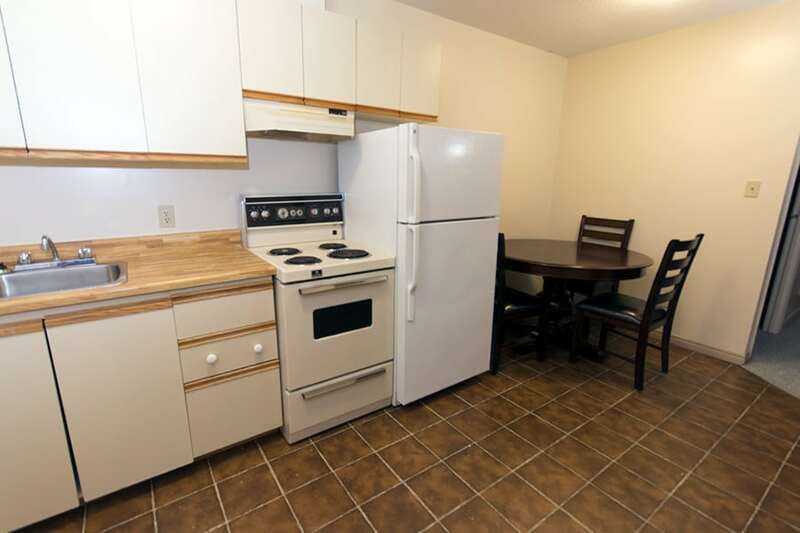 All utilities are included, as well as a fridge and stove.